Tina of Union Willow lives in a little village outside of Buffalo, NY in an old house built in 1850. 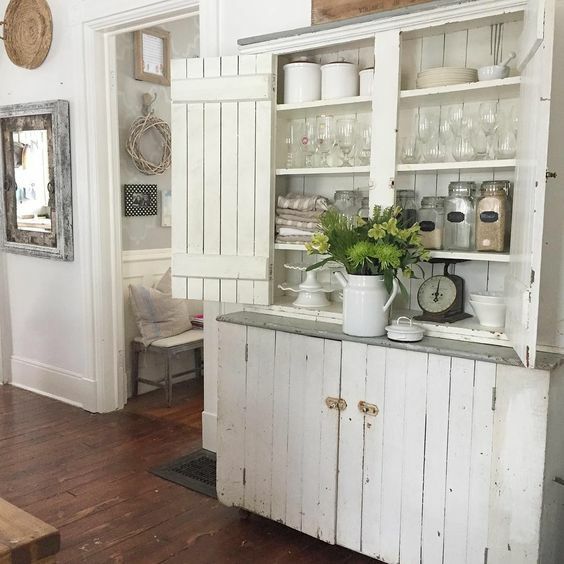 She’s filled it with vintage pieces, thrift store finds and lots of eclectic charm. “I like so many styles and I really don’t know much about actual design. 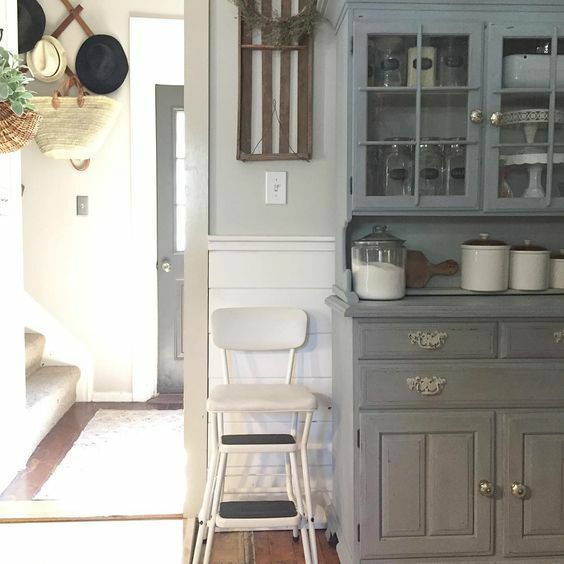 I like vintage and antiques, farmhouse, cottage, a little bit of boho. 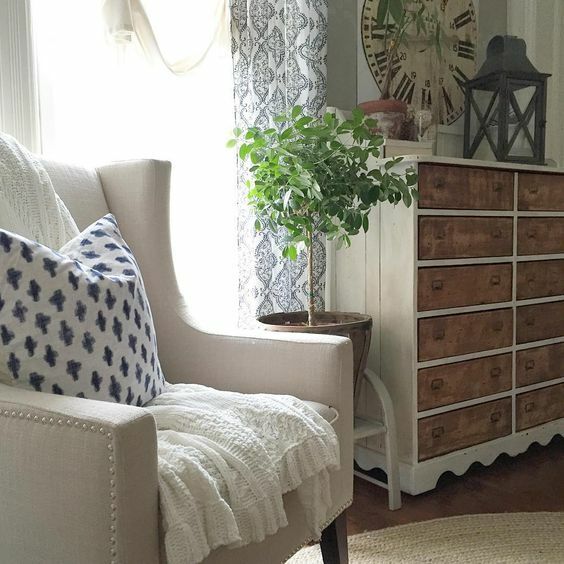 The most important thing to me is that our home is cozy, welcoming and functional,” says Tina. 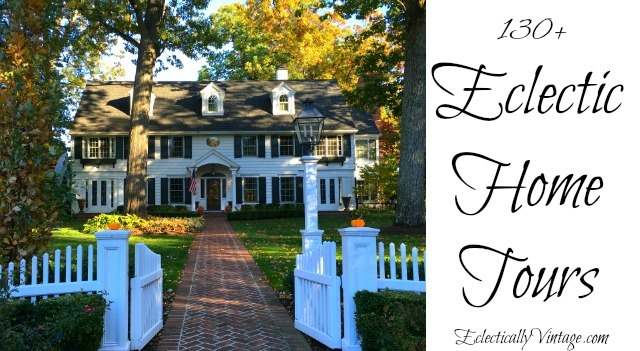 Love home tours? 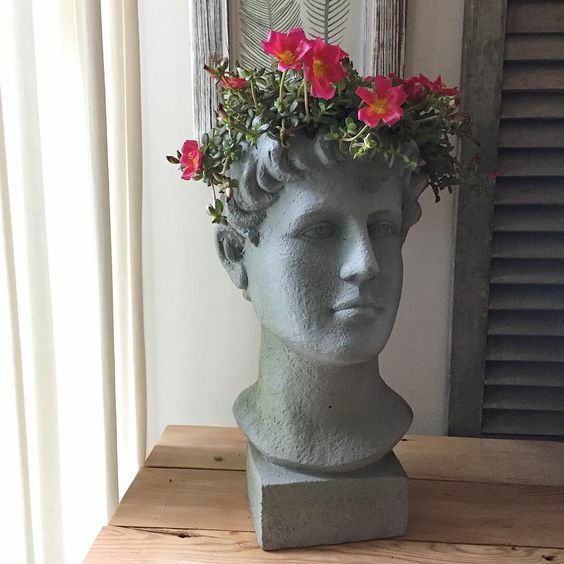 Check out more of my Eclectic Home Tours. 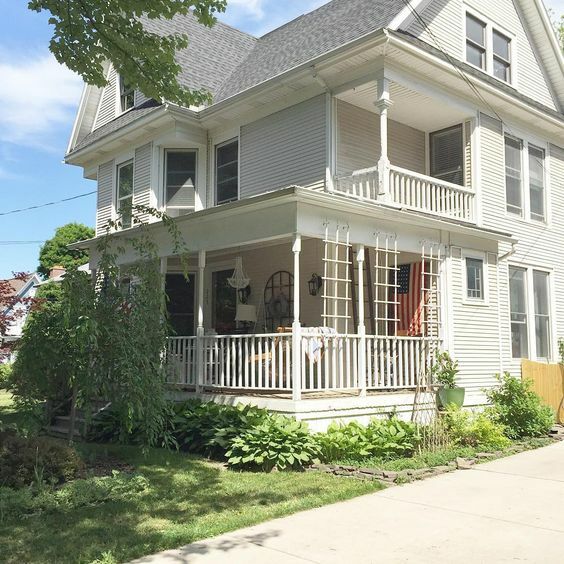 I love the pair of porches on this charming old house. 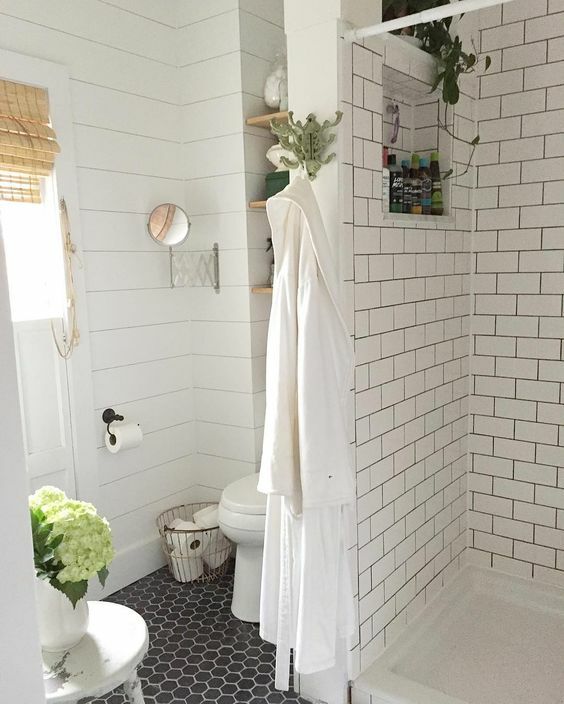 Can you believe this is faux brick wallpaper! 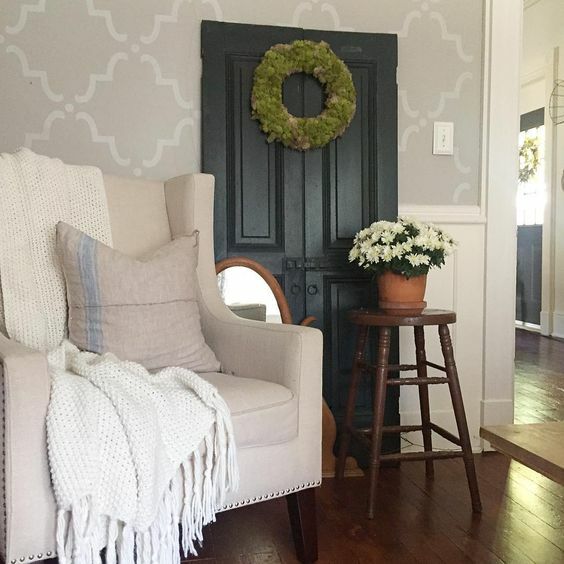 Perfect for disguising less than perfect walls. Rustic wooden shelves are perfect for displaying favorite books. 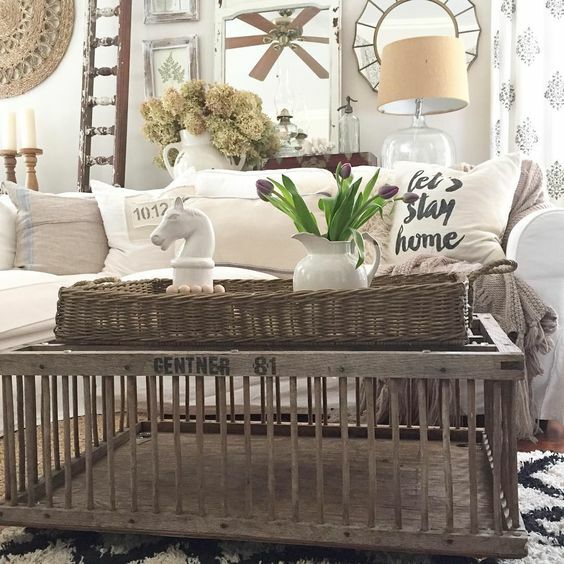 Turn a chicken coop into a coffee table by adding a big tray. A pair of old sawhorses make a rustic desk. 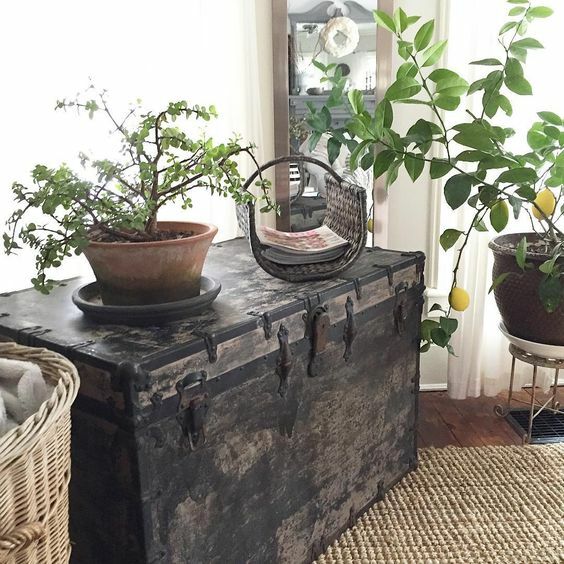 Look at that cute little lemon tree – I love the way plants bring color and life to this house. 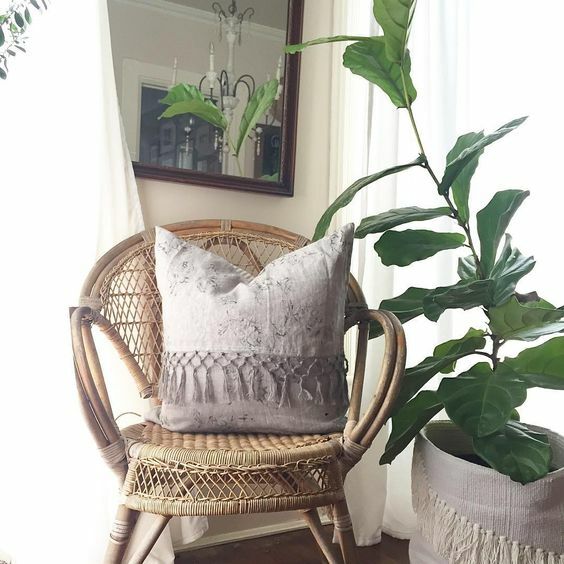 I love this little wicker chair and fiddle leaf fig in a woven basket. 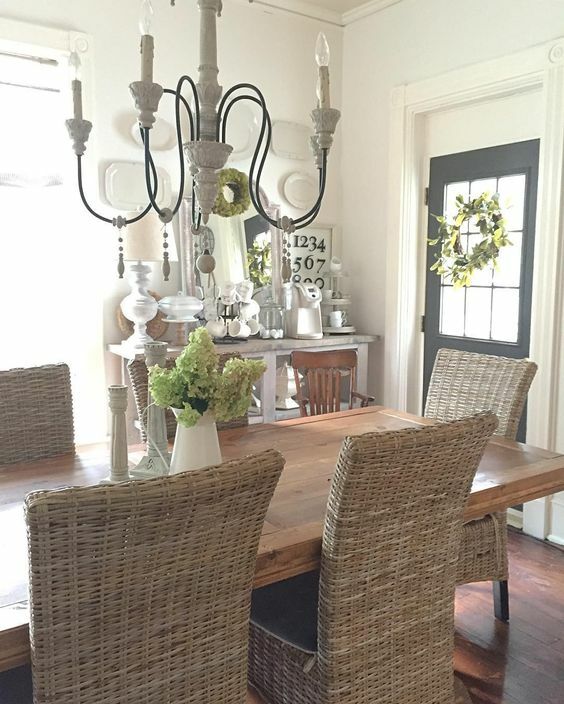 Wicker chairs add a casual feel to the dining room. 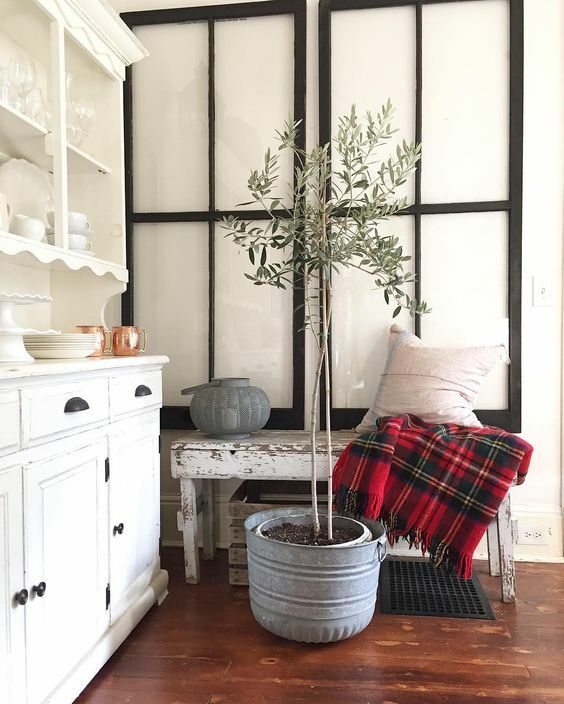 An olive tree comes inside at the first hint of cold weather. An old secretary gets a coat of white paint. 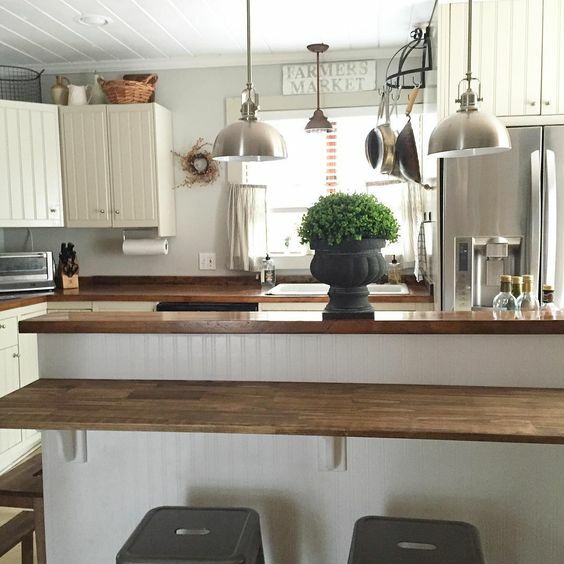 Wood countertops add warmth to a white kitchen. 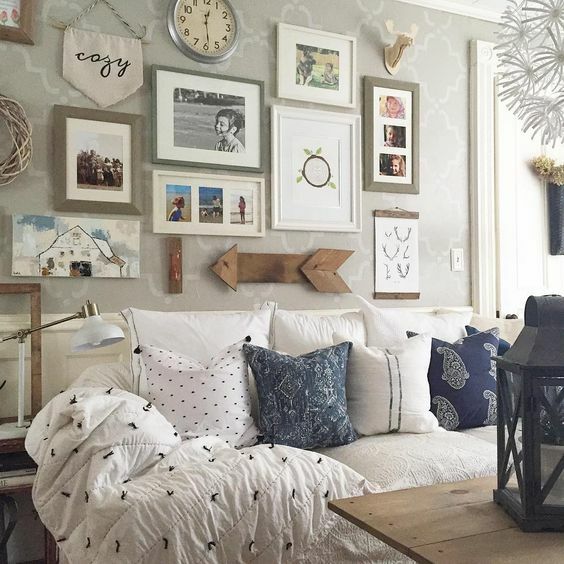 The family room has an eclectic gallery wall and a modern paper chandelier from Ikea. 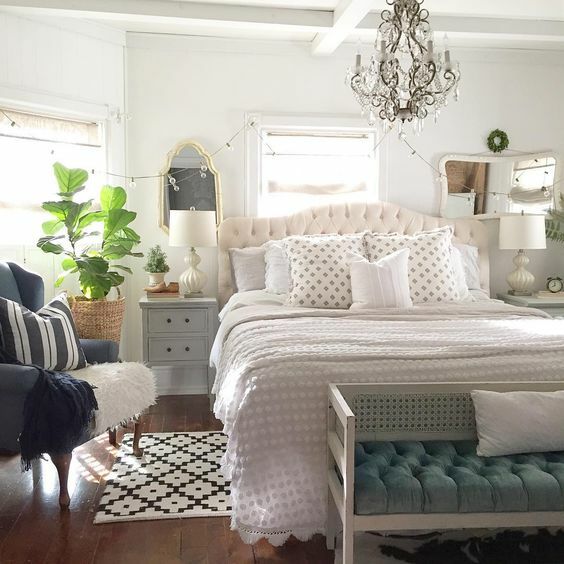 The bedroom gets some glam with a gorgeous crystal chandelier. Tina found the vintage chenille bedspread for $2 at a yard sale! 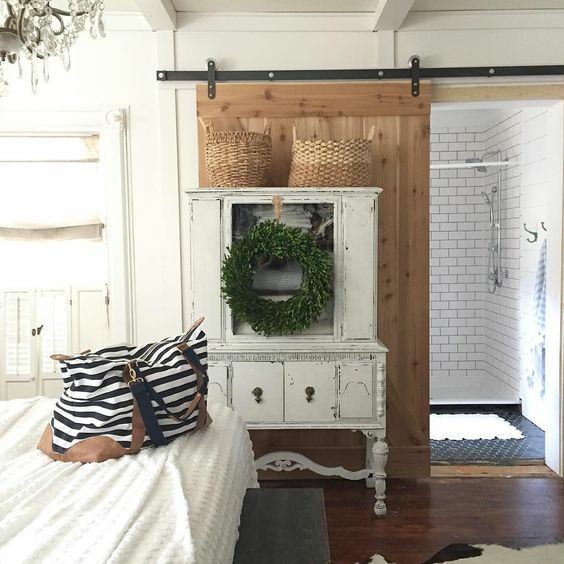 The sliding barn door adds warmth to this mostly white room. 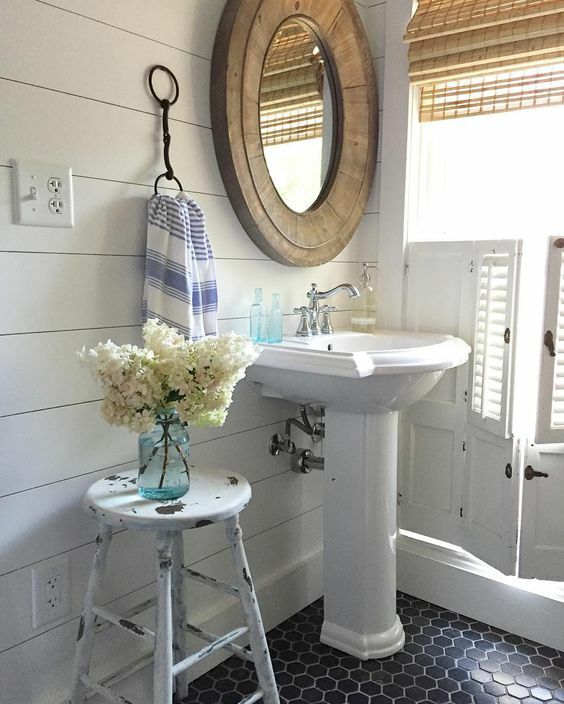 White shiplap pairs perfectly with black tile floors. Anthony oversees the family’s comings and goings and adds a bit of whimsy. 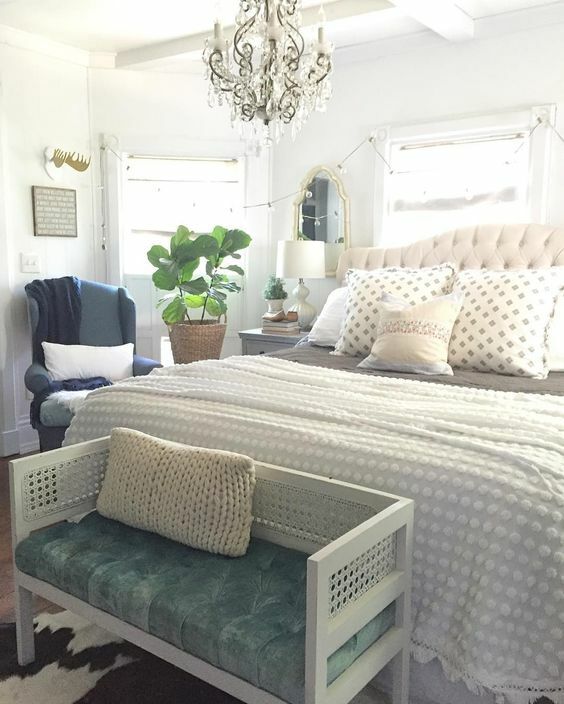 Two of Tina’s four kids share this adorable bedroom complete with shutter headboards. 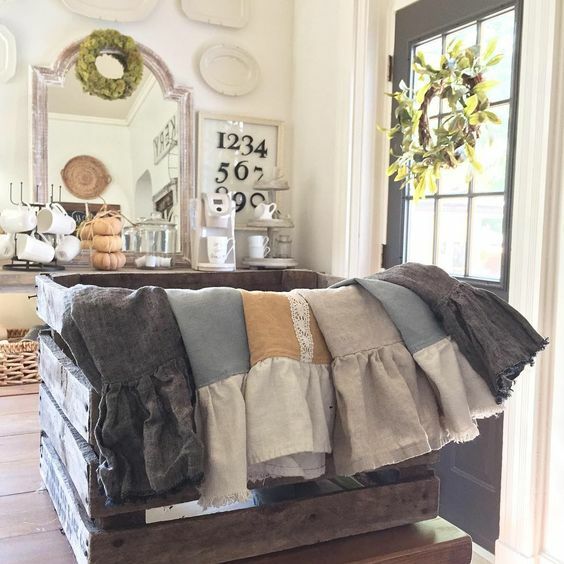 Did I mention Tina makes the most beautiful linen hand towels and pillows in her Etsy shop. 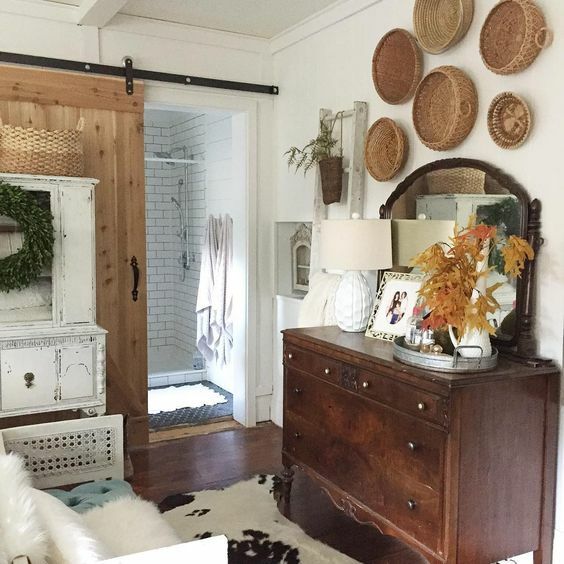 Follow Union Willow on Instagram to see more of her old house style. So creative, love the blending of styles. 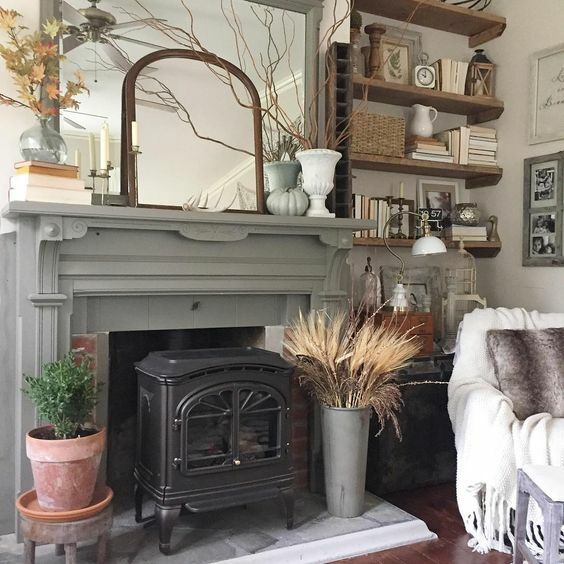 such a pretty cozy home- love the mantle and i adore the daughter’s room! 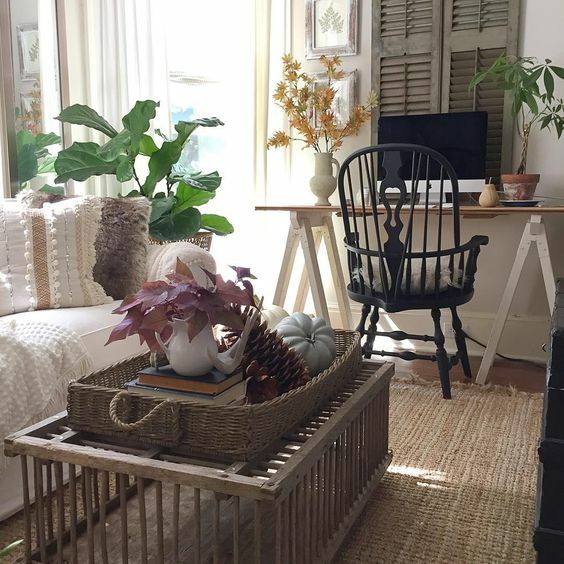 such a happy space! what a love-filled home! 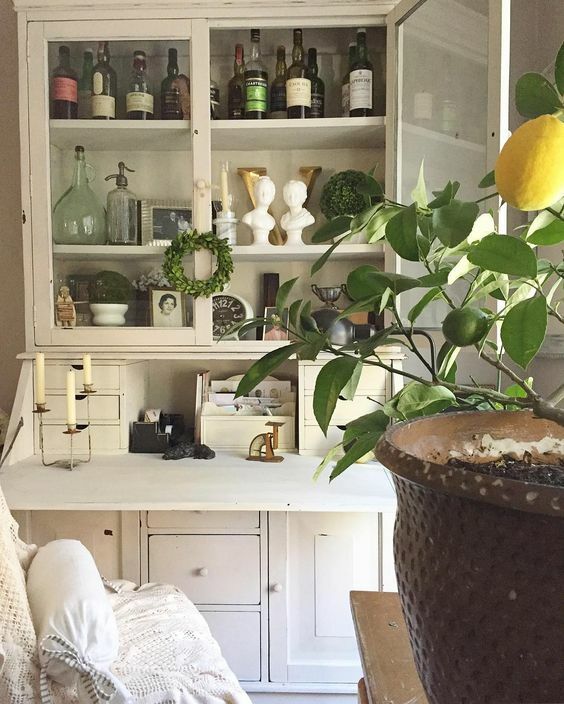 This is a really stunning home with so many ideas we all can use or tweak for our own homes. Have pinned this one! Too many ideas in too many rooms to decide right now!! Thank you so much for sharing this home with us. 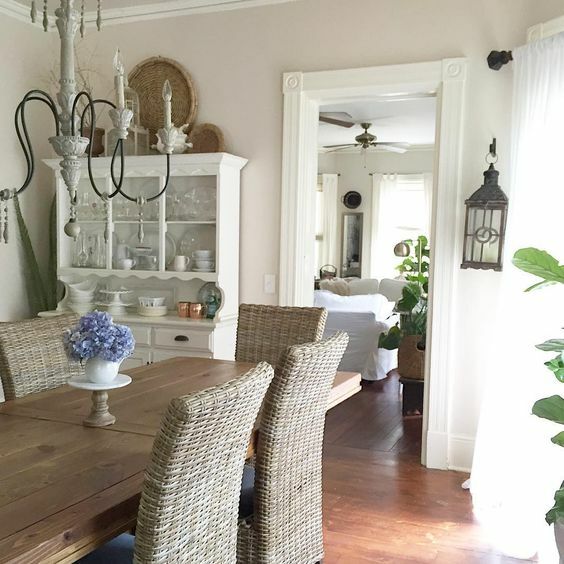 I Love everything about this beautiful, charming, cozy home !! Absolutely gorgeous! I love how everything just seems to fit perfectly. Perfection. Not all cold, cold white. 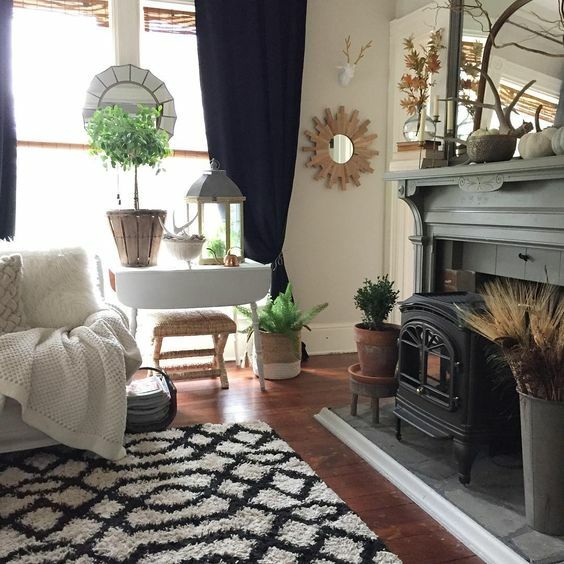 Warm wood with blacks and grays and whites, with touches of plants and lots of texture. Heavenly! 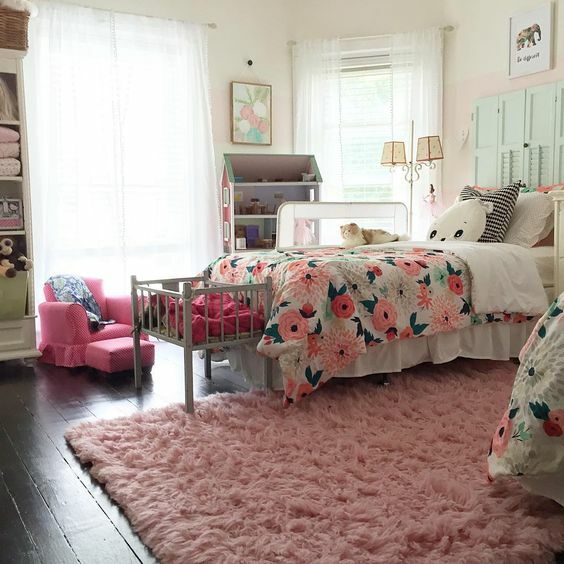 Your house is so charming loving the bedroom and best of all is your good deal on your bed spread. You go girl. Lol A nd the bling over the bed nice touch. . Very warm and inviting. Ty for inviting me to your home. Great tour! Love the decor!! 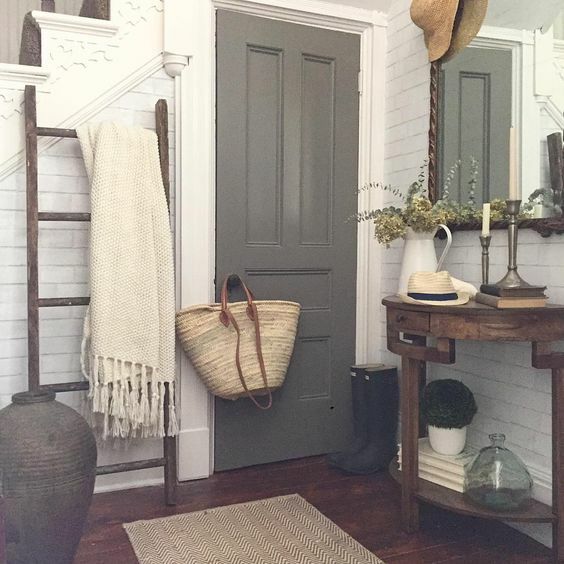 So charming and relaxing as you go through each room! Thank you for sharing. I love this home. if I own this home, I could see myself smiling each time I drive up to it. you are so lucky to own such beautiful home. I love your designing of it. You did a fabulous job. Thank you for sharing. For someone who says they don’t know too much about actual design, it certainly looks like she does! 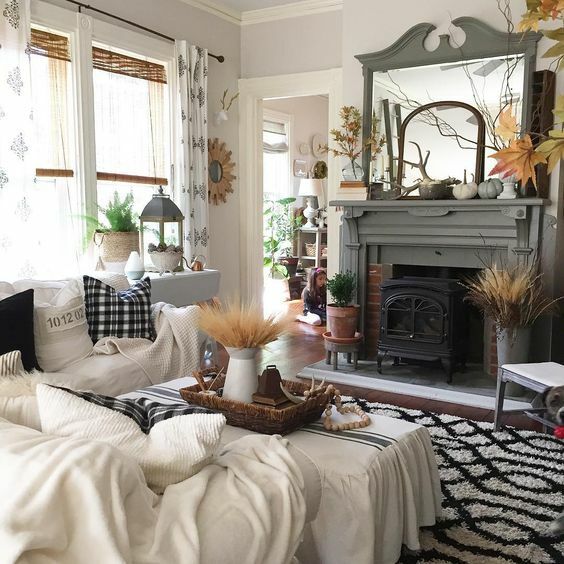 What a beautifully layered, cozy, lived in looking home.